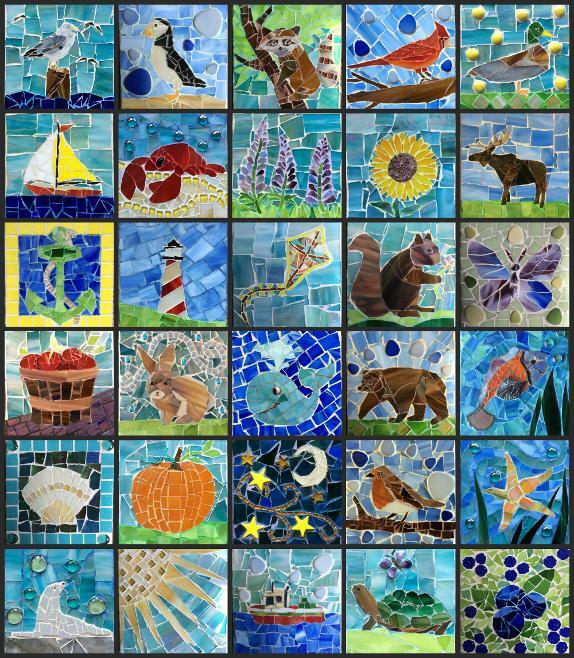 In 2016, I completed this wall of mosaics for the Barbara Bush Children's Hospital's new addition. Large circles represent the seasons here in Maine, and the smaller circle designs were requested by some of the wonderful staff at the Hospital. 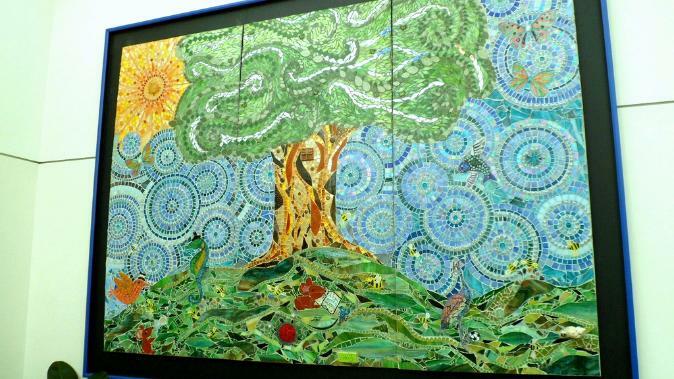 Along with these mural mosaics, I also created 40 smaller mosaics for next to each patient room. 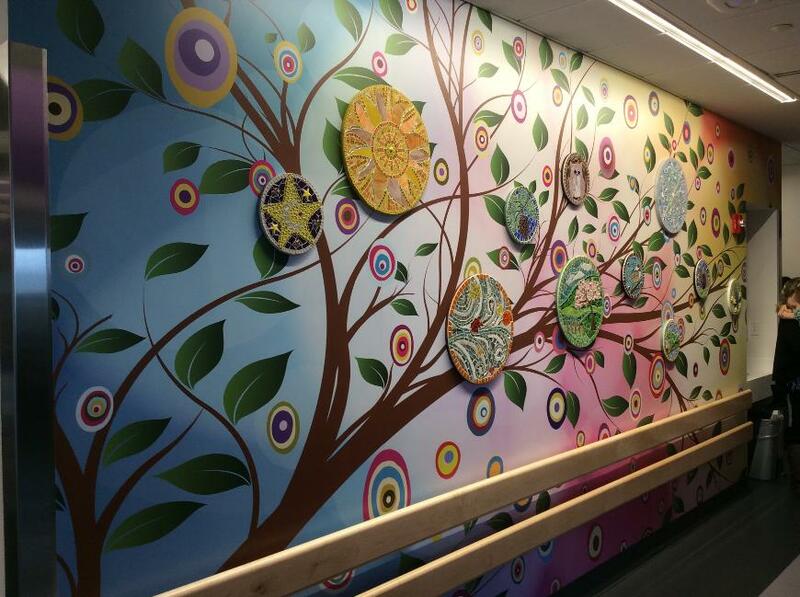 Barbara Bush Children's Hospital, in Portland Maine. It is called The Garden of Possibilities.